For your convenience our park is located just off the Lickman Rd. exit and the near by Chilliwack Tourism Center and Heritage Park. If you are looking for a quiet, peaceful and friendly place to vacation then you have found the right place. Enjoy your stay! 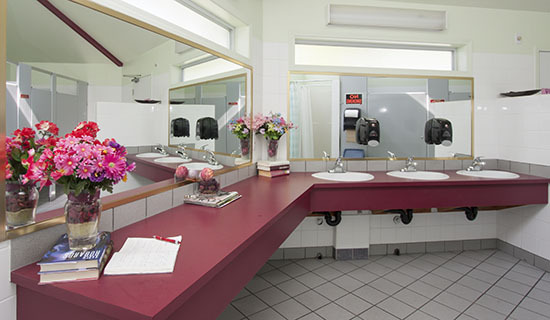 Modern wash rooms, laundry facility and a traveler's supply store are only a few examples of things that will make your stay pleasant. We are only minutes away from Chilliwack's shopping centres and you will find premium golf courses and other attractions close by. 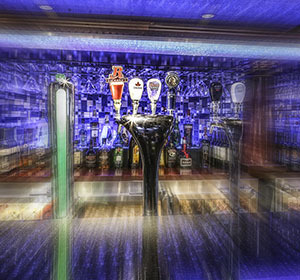 Our park features a welcoming lounge and club room - everything you need to feel just like at home. We are an all season RV park with 120 sites open year round for travellers or resident guests. 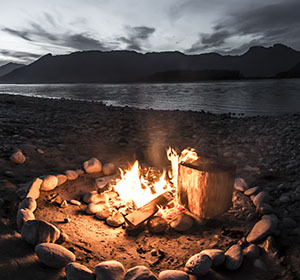 You will find us located in the beautiful pristine upper Fraser Valley between the spectacular Cascade Mountains and the mighty Fraser River. We are only 2 minutes from a Major Shopping Centre with many stores to choose from. See our Activities section for more information. For your convenience our park is located just off the Lickman Rd. 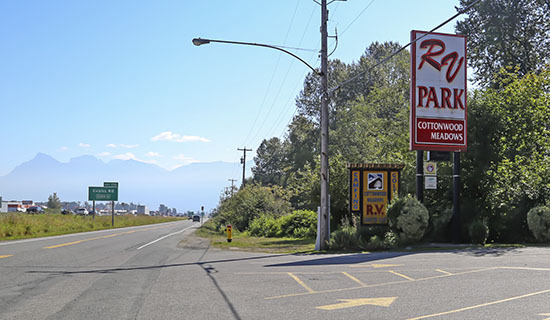 Highway exit and next to the Chilliwack Tourism Center. Within minutes you will find everything from shopping malls and stores, over golf courses, spas and restaurants to museum and art galleries. Chilliwack is also host of several festivals or special events throughout the year and is a prime spot for outdoor activities. We now have a total of 120 sites! 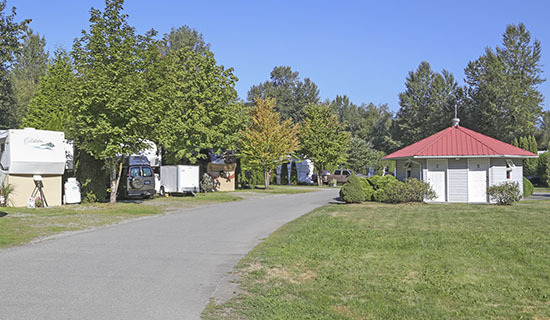 We are the newest and most up-to-date RV park in the Chilliwack area. You will find our park private and secure where most of the sites front on a lazy stream. They are level and easily accessible. Checking in is always quick and easy. For your convenience you will find our clubhouse, and traveler's supply store adjacent to our office. Full hook-ups include the site, FREE WIFI through out, cable TV (hook up to provided cable box needed) , water, electricity (30 and 50 Amp service) We are a secure park with fully equipped washrooms, showers and sani-dump. There is a pay-phone, vending machine and laundry facilities are on-site. Doors to shower rooms, activity room, the clubhouse, and laundry facilities are equipped with security codes for your added safety and privacy. The entrance gate is electronically controlled for your security and convenience. Make yourself at home at Cottonwood Meadows RV Country Club. If you are looking for a quiet, peaceful and friendly place to vacation then you have found the right place. You will enjoy the many varieties of birds including Blue and Grey Herons in our park. You will love the visiting rabbits, ducks, and an occasional beaver that wanders out of our near by stream. In the evening be sure to listen for one of the many owl's located in the treetops. We look forward to your visit. We offer 120 full hook-up sites that include cable TV, water, electricity (30 and 50 Amp service). 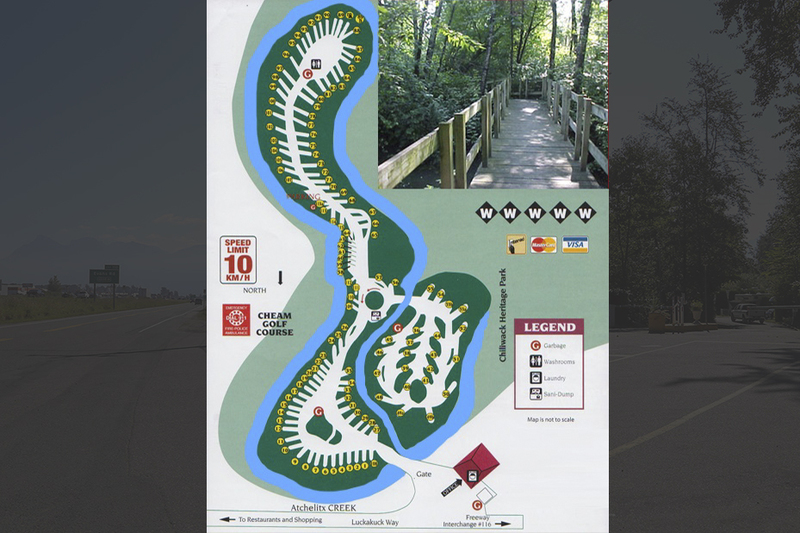 Other park features are fully equipped washrooms, showers, sani-dump, laundry facility, activity room and electronically controlled access for added security. All rates for 1 vehicle and 2 adults. We do accept the common payment methods including electronic payments. We like to assure maximum pleasure for our guests and provide a detailed list with all rules at check in. Take the interactive Google tour and explore different areas of our park. You will discover safe and quiet RV sites, private washrooms, laundry facility and much more details that will make your vacation at our park enjoyable. Chilliwack hosts a variety of events throughout the year - from picturesque outdoor markets to premium sports events or art and music festivals. The Chilliwack area is a great outdoor destination with world-class fishing, scenic mountain views and excellent watersport opportunities. Enjoy country charm and learn about modern farm life, visit one of Chilliwack's farm markets or unwind with a perfect wine-paired dinner. Chilliwack is home to more farmland than any other Lower Mainland community. Visit one of the many farm markets and try great local products. The Local Harvest Market, Farm Girl Market, Anitas Organics Retail Store, Kin's Farm Market any many other. There is a number of golf courses in the Chilliwack area. 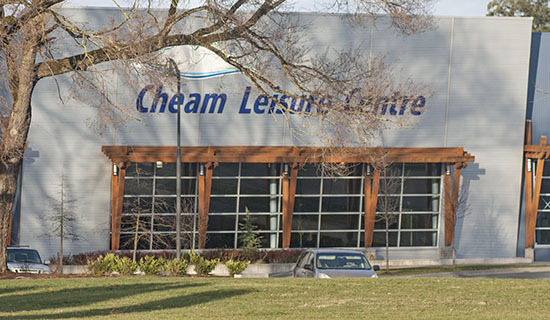 In fact, the Cheam Mountain Golf Course and Vincenzo's On the Green Restaurant are within walking distance from our park. The Chilliwack Mall as well as the Cottonwood Mall are only a few minutes away and you will find all the major stores. The Walmart store at the Eagle Landing Centre is one of the largest in BC. There are several lakes in the area and whether you prefer the trendy paddle board, a canoe or a motorized boat - there are plenty of opportunities to enjoy Cultus Lake, Chilliwack Lake, Harrison Lake or one of the many other lakes. 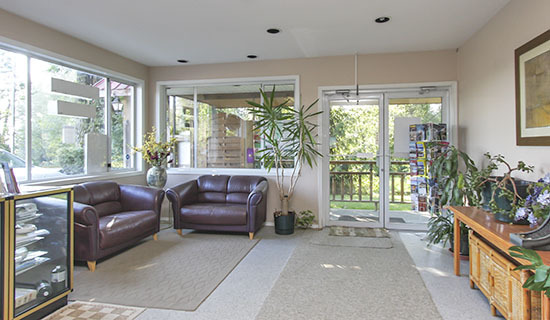 You will find several Spas in Chilliwack with a variety of aesthetic services and therapies. Find your personal oasis and enjoy relaxation and stress relieve. If you like fishing it will be hard for you to leave again. There is excellent river and lake fishing in the Chiliwack area - you can book guided tours or explore on your own. 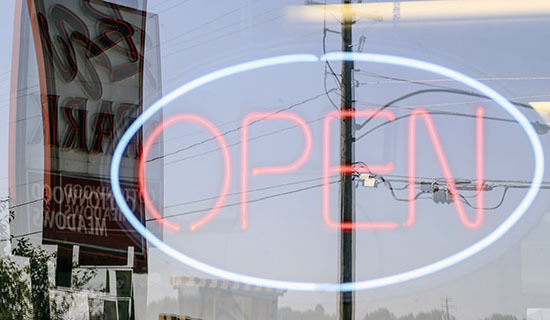 Several tackle stores in town can help with the right gear. The Casino is only a short drive away. Weather you like Bingo or Roulette or just want to have a good time with friends, the casino will offer great entertainment. 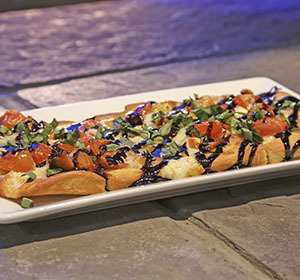 The Chilliwack restaurant scene offers a variety of tasteful ethnic dishes. Experience exceptional flavor with many choices from home-style cooking, authentic international food to chic dining.